Rivera Sun introducing Gasland film at Moby Dickens Bookshop. 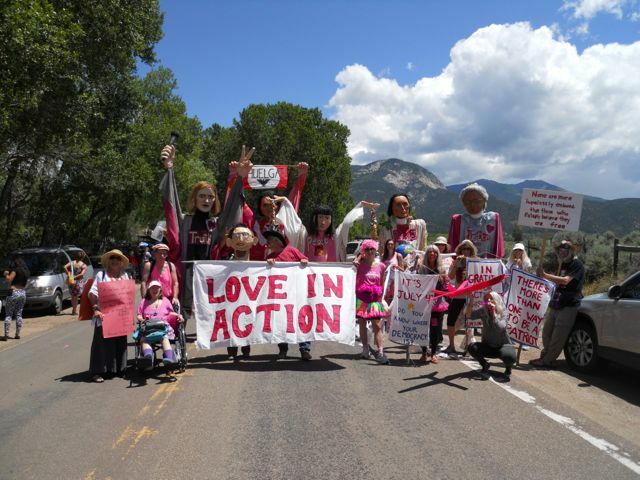 Love-In-Action Taos is activism at high-altitude … which means the winters are cold and snowy. We don’t do so much protesting outdoors during this season, but we keep active anyway! This winter, we’re screening documentaries at the local bookstore, Moby Dickens. We’ve selected a few films out of the thousands our group has collectively seen. Here’s the line-up for the next few months. Popcorn will be served (vegan and nonvegan, GMO-free). We accept donations, but no one is turned away. 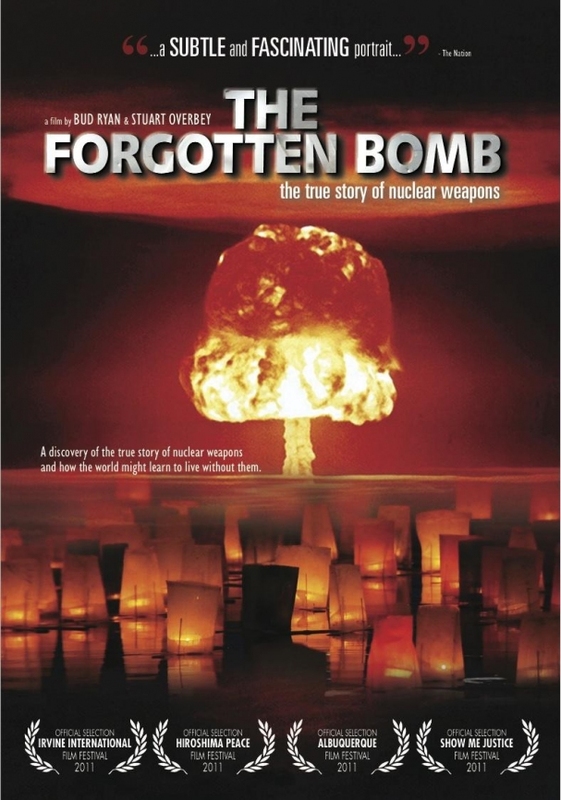 The Forgotten Bomb Sat, Jan 10th at 7pm w/ filmmaker Bud Ryan speaking afterwards. 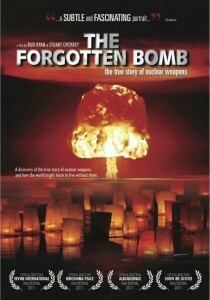 “Join filmmaker Bud Ryan on an epic journey to discover what the Bomber can learn from the Bombed and what the true state of the nuclear threat is today.” With Los Alamos National Laboratory just down the road and the continuing waste storage crisis at the WIPP facility, this is a timely and relevant film to witness as we enter the 70th year since the nuclear bombing of Hiroshima and Nagasaki. We are also very fortunate to have filmmaker Bud Ryan in attendance, so please tell all your friends! Watch trailer here. A Force More Powerful Sat, Jan 17th at 7pm This groundbreaking film explores one of the 20th century’s most important but least understood stories: how nonviolent power has overcome oppression and authoritarian rule all over the world. Narrated by Ben Kingsley, and nominated for an Emmy, A Force More Powerful premiered on PBS in September 2000. Watch the trailer. Gasland Part II, Sat, Feb 7th, at 7pm After the eerie and unsettling Gasland I screening at Moby Dickens, we’re substituting fact for horror in our film series. GASLAND PART II will provide you with a compelling narrative, shocking facts, clear science on the largest domestic drilling campaign in modern history and an understanding of why drilling can never be made safe. From faucets lighting on fire to dead cows to a bevy of healthcare complaints to entire rivers contaminated with waste fracking fluid, this issue is catastrophe wreaking havoc on our nation. Watch the trailer. 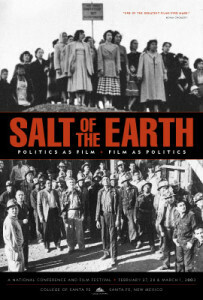 Salt of the Earth, Sat, March 7th, at 7pm Based on an actual strike against the Empire Zinc Mine in New Mexico, the film deals with the prejudice against the Mexican-American workers, who struck to attain wage parity with Anglo workers in other mines and to be treated with dignity by the bosses. In the end, the greatest victory for the workers and their families is the realization that prejudice and poor treatment are conditions that are not always imposed by outside forces. This powerful film is one of the few films to have been blacklisted by the US government. Today, it is considered a masterpiece and a treasure. Rivera’s note: This film is outstanding! Incredible cinematography, good acting, and startlingly progressive message. Watch the original and very entertaining trailer. “Cowspiracy: The Sustainability Secret” is a groundbreaking feature-length environmental documentary following intrepid filmmaker Kip Andersen as he uncovers the most destructive industry facing the planet today – and investigates why the world’s leading environmental organizations are too afraid to talk about it. This film is being presented by the Vegan Meet-up Group as part of their Earth Day event series. *Rivera’s note: Not so much a vegan film as a must-see for anyone concerned about climate change. We made an exception in our Moby’s series to include this film because it’s so important for everyone to know about, watch, and tell their friends about. It’s life-changing.Watch the trailer. 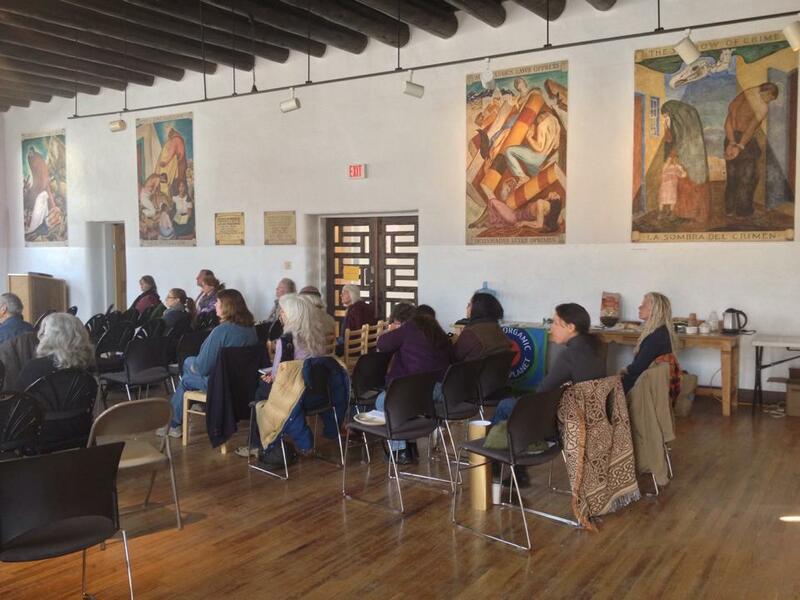 Love-In-Action co-founder Rivera Sun brings her powerful workshop to Taos, NM before embarking on a 40+ city tour. 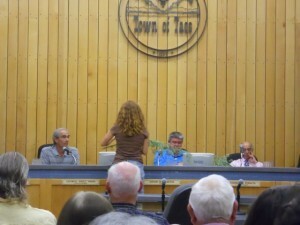 Not local to Taos? You’re in luck! She’s on her way to you … and she’s also teaching Love-in-Action Workshops. See her full tour schedule and contact her here. Ordinary people like you have made change using the tools of Dr. King, Gandhi, Jesus, and Cesar Chavez. Learn these strategies for change and apply them in your community. 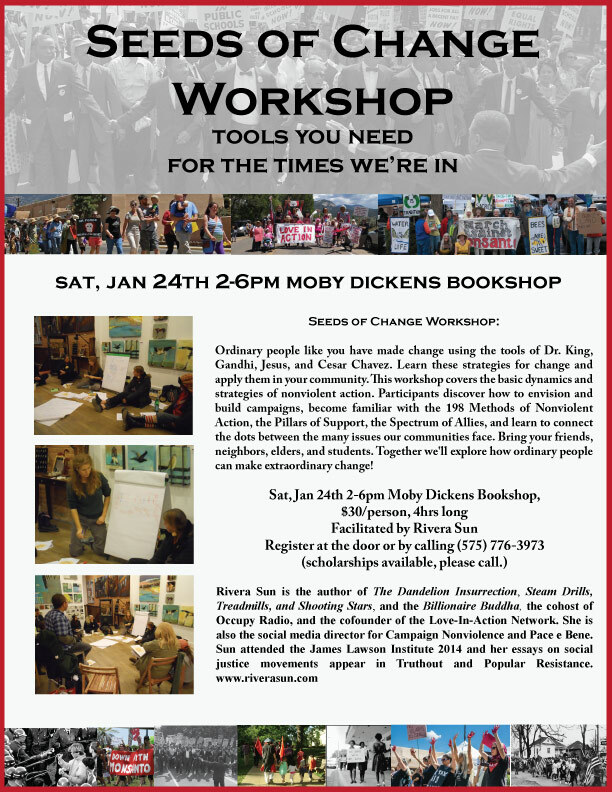 This workshop covers the basic dynamics and strategies of nonviolent action. Participants discover how to envision and build campaigns, become familiar with the 198 Methods of Nonviolent Action, the Pillars of Support, the Spectrum of Allies, and learn to connect the dots between the many issues our communities face. Bring your friends, neighbors, elders, and students. Together we’ll explore how ordinary people can make extraordinary change! Pssst … here’s Rivera Sun’s Love-In-Action Workshop description. Very exciting! Love in action is the phrase used by Dr. Martin Luther King, Jr. and Buddhist monk and peace activist, Thich Nhat Hanh, to describe what happens when “the heart bursts open and springs into action!” This workshop brings you hope, courage, and practical skills for being love in action. 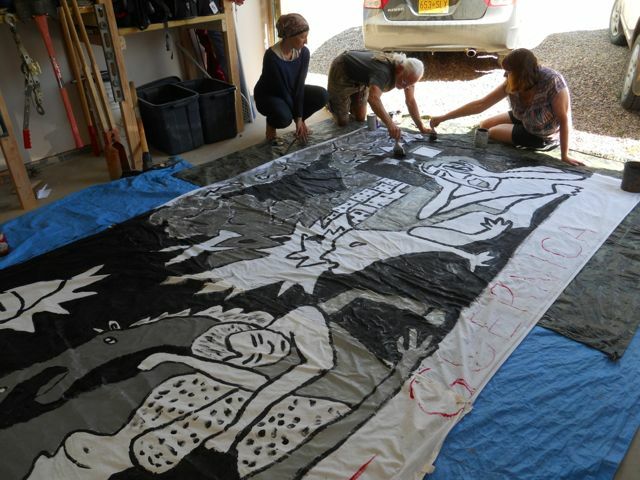 Drawing from inspiring stories of nonviolent action, you’ll learn how to bring people together, create a plan, and become a vibrant part of the growing Movement of Movements that is sweeping across the nation and into our lives! See her full tour schedule and contact her here. Filed under Events, Love-In-Action News! Love-In-Action Taos has joined in with a beautiful project you may want to participate in. Send a creative message of peace to the “cradle of the bomb” to commemorate the 70th anniversary of the horrific bombings of Hiroshima and Nagasaki. 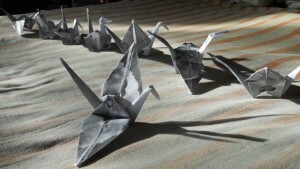 This year, as people around the world take action to commemorate the massacre and ban the bomb, Campaign Nonviolence and Upaya Zen Center are calling on citizens to fold 70,000 paper cranes for peace to be brought to Los Alamos National Laboratory, on Hiroshima and Nagasaki Days. Sign up here. Sadako statue with paper cranes in Japan. Seventy years ago, the United States dropped two nuclear bombs on Hiroshima and Nagasaki, killing 80,000 women, children, and men instantly; and over 150,000 in total. The symbolism of the paper crane began with Sadako Sasaki, who was two years old when the blast from the Hiroshima bomb threw her out a window. She was ten when purple spots formed on her arms and legs. Hospitalized for leukemia in Feb 1955, the popular girl died in October 1955. 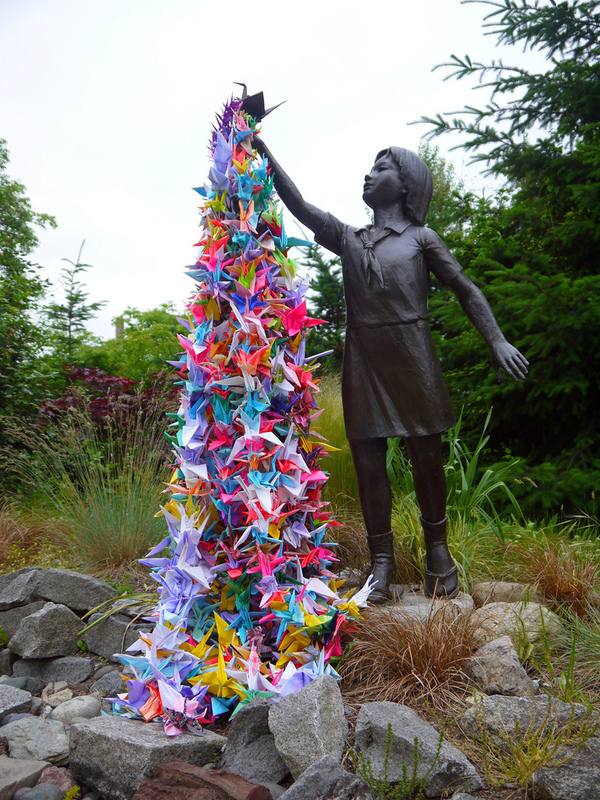 In her last year of life, she folded 1300 paper cranes as a prayer for healing. The paper crane is now an international symbol of peace, and a poignant reminder of the human costs of nuclear bombs. 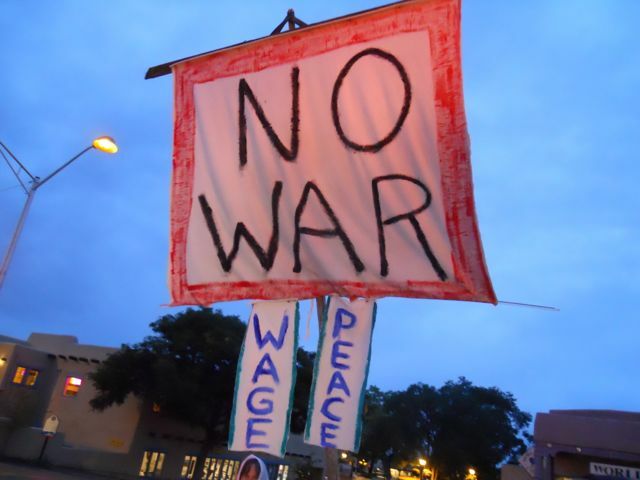 On Aug 6-9th, hundreds of citizens will be gathering in New Mexico to embody Dr. Martin Luther King’s famous words regarding nuclear weapons, “It is no longer a choice between violence or nonviolence. It is nonviolence or nonexistence.” They will be participating in a National Conference on Nonviolence and traveling to the heart of nuclear weapons research, Los Alamos National Laboratory, to hold a vigil, a peace march, and deliver 70,000 paper cranes that have been folded by people like you. Love-In-Action Taos folded paper cranes designed by Taos member, Paul Gutches. 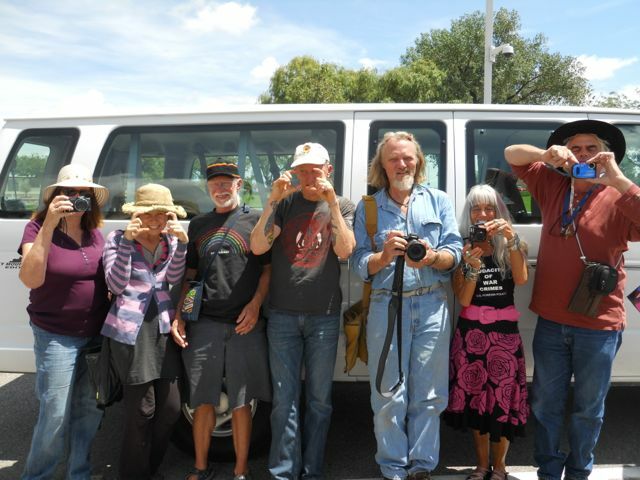 Come to New Mexico in person or send a delegation of paper cranes to represent you, your family, friends, and neighbors, your peace and justice center, church or spiritual group, school or classroom. Learn how to fold cranes and sign up here. The Unsung Heroes: Whistleblowers, Activists, and Muckrakers Procession won “Most Patriotic” in the 4th of July Parade. 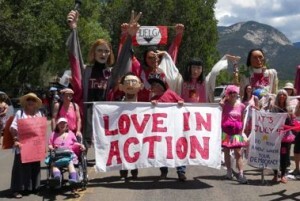 It’s hard to keep up with Love-In-Action Taos. (This website certainly can’t!) 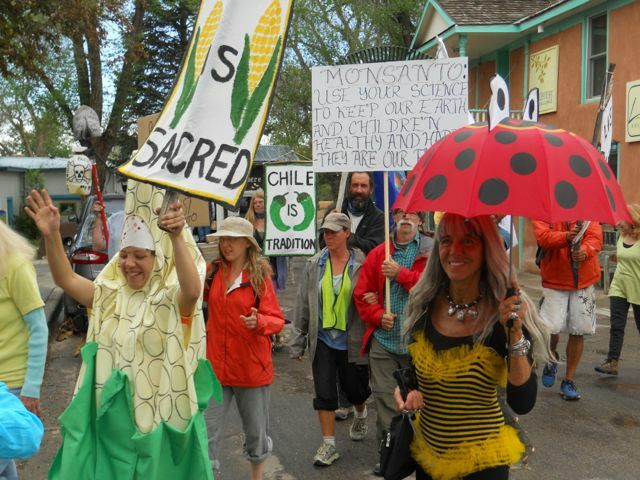 Since forming in March 2014, this small town group has organized over forty actions and events, taking part in the Global Climate Convergence, March Against Monsanto, the local agriculture movement, three peace vigils for Palestine, Pax Christi’s Hiroshima Day Vigil at Los Alamos National Laboratory, and won “Most Patriotic” in the 4th of July Parade for their Unsung Heroes: Whistleblowers, Activists, and Muckrakers procession. Here are just a few photos from the group’s wonderful activities. Enjoy! Love-In-Action demonstrates in the rain, the sun, and even after dark … while war rages, Love-In-Action speaks up for peace and nonviolence! 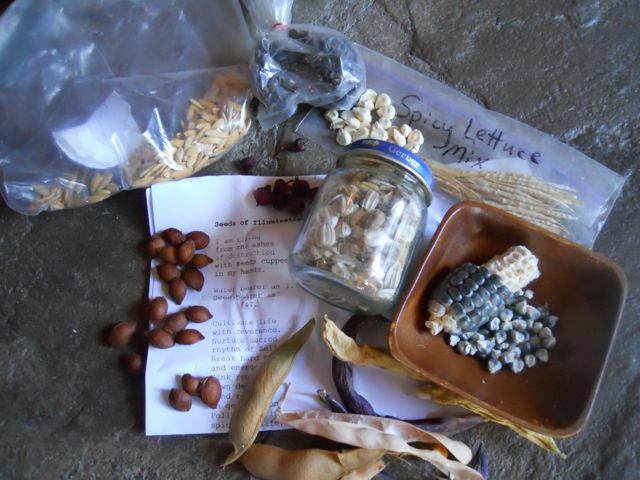 Growing gardens, sharing food, swapping seeds, bringing loaves of fresh baked bread to gatherings … it’s not just protests. Love-In-Action stands up for life in many ways! 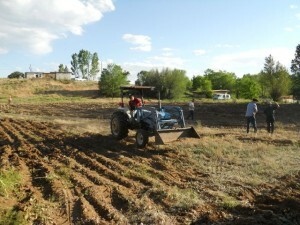 From porch gardens to one-acre fields, Love-In-Action Taos members love to grow food! 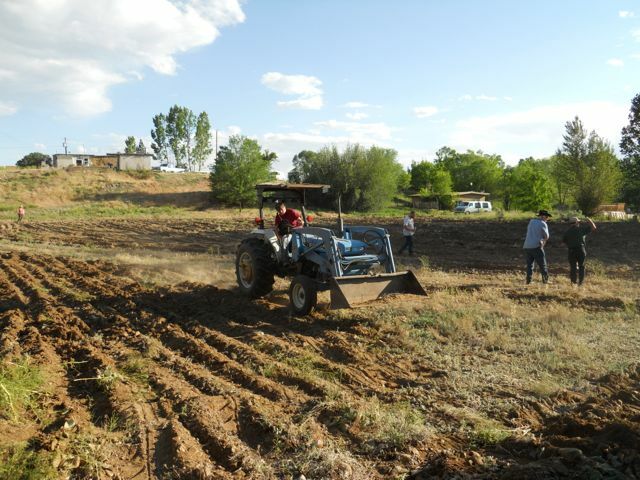 We understand that local agriculture sits in the nexus of climate, water, poverty, and community resilience issues. Love-In-Action Taos visits our City Councilors … this happens to be about a name-change for a local park. 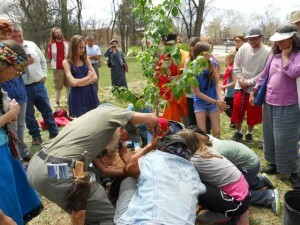 Planting a Cherry Tree during the Global Peace Walk. 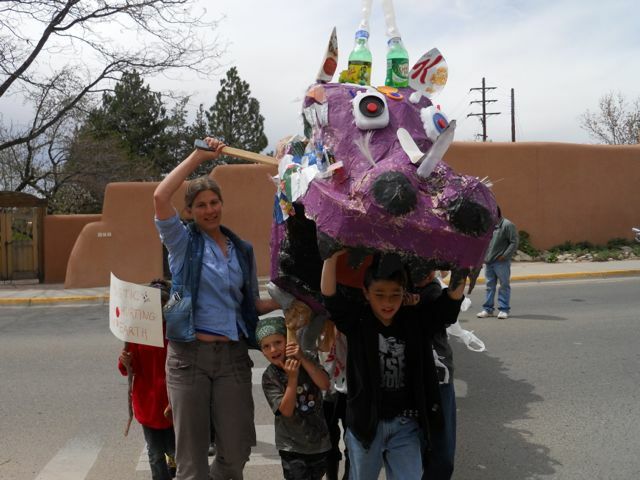 Schoolkids from Penasco joined the Community Parade during the Global Climate Convergence, bringing along the recycled plastic dragon they built! 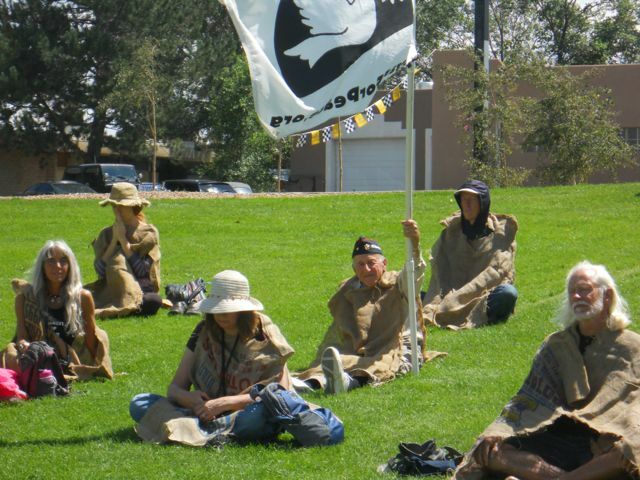 Love-In-Action Taos joins Pax Christi and John Dear for the Annual Sackcloth and Ashes Hirsoshima Day Peace Vigil at Los Alamos National Laboratory. We are the media! Love-In-Action Taos proclaims, holding up cameras for the camera. We are the news: both the subject and reporters! Love-In-Action Taos painted nearly 100 banners of inspirational leaders for social justice, both living and passed on. 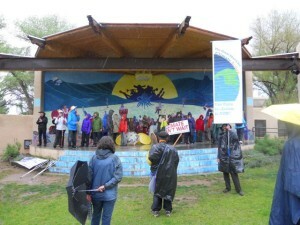 Joining the Great March for Climate Action as the cross-country marchers arrive in Taos, NM. “Gaza = Guernica” – a 7 x 15 ft adaptation of Picasso’s famous painting being prepared for the Aug 9th demonstration for Palestine. 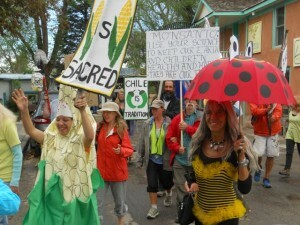 March Against Monsanto becomes a colorful celebration of life when Love-In-Action gets involved! Please Welcome, Love-In-Action Wenatchee, WA! The Love-In-Action Network just became bolder and brighter! Welcome! Not in Washington? Find a group in your area. Giant Puppets, costumes, banners, whistles … bring it all to the Arroyo Seco 4th of July Parade. Love-In-Action is celebrating the heroes of the People’s History of the United States: activists, whistleblowers, and muckrakers. July 4th, 11:00am SHARP! Gather at the Arroyo Seco Community Center (the gathering point for on-foot marchers). The parade starts at noon, but it’s good to come early before they close the street and parking gets tight. Everyone is welcome … if you haven’t been to a Love-In-Action gathering or event, welcome! We’re happy to have you come along. Want to invite friends? Use Facebook. 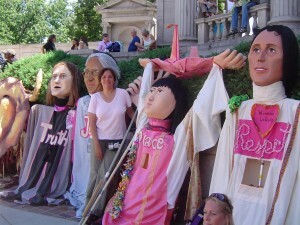 CodePink Taos is bringing these 5 Giant Puppets to the Parade … and looking for 5 strong backs to wear them! Come dressed as Mother Jones, Eugene Debs, Dorothy Day, Edward Snowden, Chelsea Manning, Cesar Chavez. 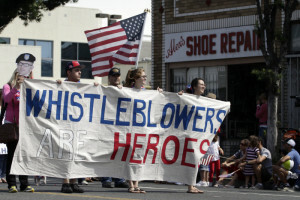 Blow a whistle for Daniel Ellsberg, Jesselyn Radack, Thomas Drake, Karen Silkwood, Erin Brokovich. Volunteer to carry one of the Codepink Taos’ Five Giant Puppets of Sadako Sasaki, Rosa Parks, Winona Laduke, Dolores Huerta and Amy Goodman. 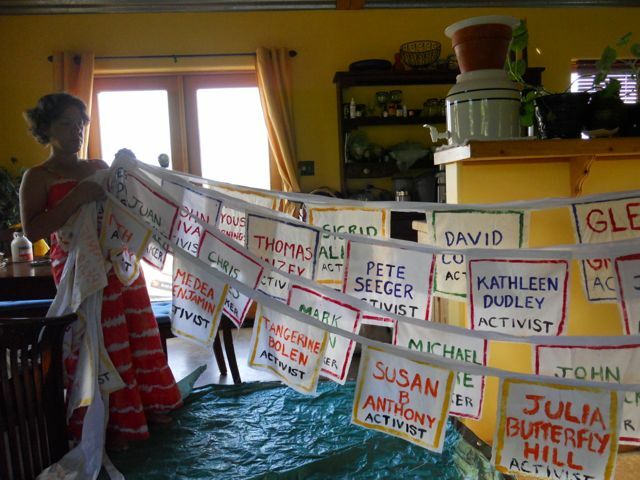 Paint a long banner with every whistleblower’s name you can think of. Or one for activists. Or muckrakers. The Love-In-Action Network is a very humble and simple thing. 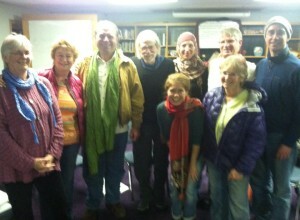 We come together, we talk, we deepen through our gathering, and then we act together to help our world. There has been interest in this network from around the globe (Morocco, British Columbia, Mexico) and also many communities here in the United States. I want to encourage everyone to just do it! Start a local group. Invite your friends. Bake cookies. Talk. Every Love-In-Action group develops from simple beginnings. Over time, they will have amazingly unique flavors. I want to share some reflections on our Taos, NM (USA) group. Hopefully, they will inspire you. 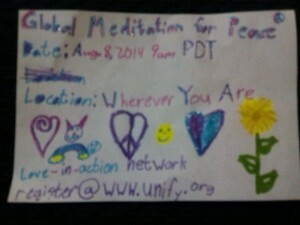 For our second Love-In-Action gathering, a young(er) woman and I asked to learn the old protest songs and spirituals. Little did we know the magic contained in these songs! At the risk of waxing poetic or sounding sentimental, I watched the room come alive through the songs. 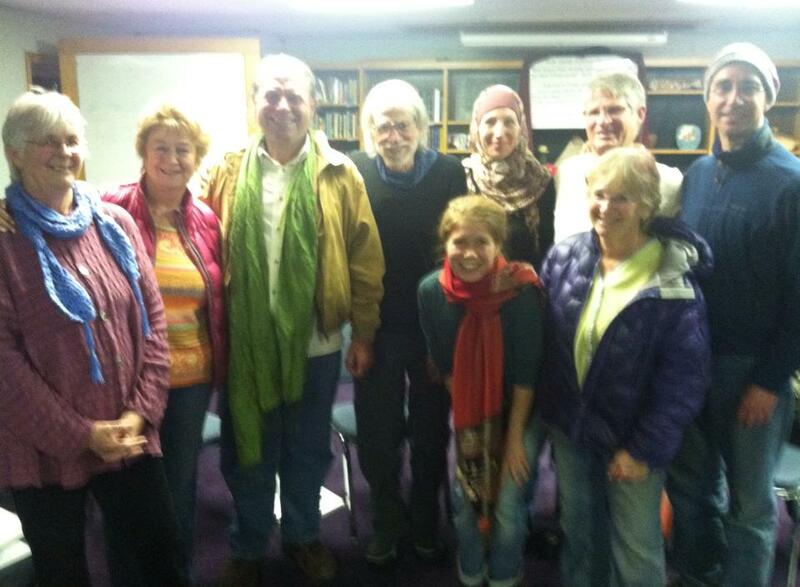 Pete Seeger believed that when we sing together, we have joined in spirit to sing. I felt that. I watched the “older” members of our group shine with the joy of sharing these songs. For me, asking to learn these songs was a way of honoring the generation of the 1960’s, and of tapping into what George Lakey calls “the accumulated revolutionary wisdom of the people”. At this gathering, we also had a Christian and Muslim sitting next to each other, along with some Buddhist-Taoists (like myself) and other faiths, too. In these times of hate and war, I feel small moments of peace like this are worth mentioning and celebrating. We spoke about our interests in Love-In-Action, our feelings of needing to find action in this time of great change, and our yearning for positive, constructive, and tangible efforts. 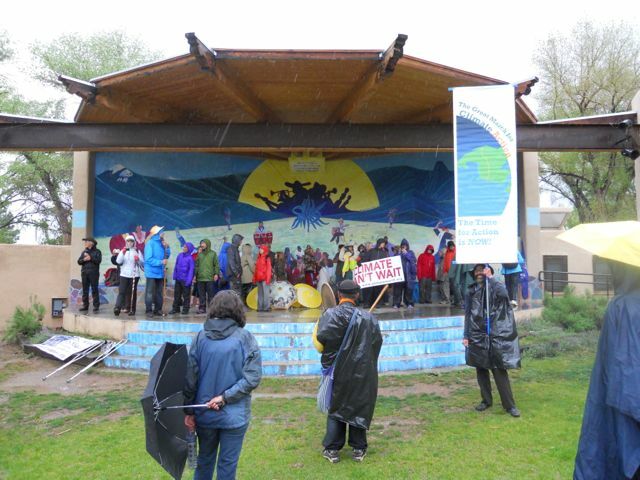 One idea that caught the group’s interest was to pick up the litter that plagues our community, holding signs that say, “Please don’t litter” and “Love-In-Action Taos”. Many felt that a visible, humble, and practical contribution to our community was the perfect way to begin our efforts. We briefly explored the idea of how to use the litter picking up day as a meditation or an intentional focus of being Love in Action – which reminded me of Thich Nhat Hanh’s writings. Can we practice compassion while engaging in practical action? I think we can. At the next gathering in two weeks, we will use the World Cafe discussion model to dive deeper into our ideas for group efforts on the local and larger problems we want work together to address. Please do not be shy. Leave a reply and I will email you back. We are the ones we’ve been waiting for … and the time is now. Join us.